If you are a Karachi-ite and have a Sunday to spare, you couldn’t make better use of your time than taking a quick tour of Lower Sindh. A spine for adventure and some good weather could see you through Makli Necropolis, Kinjhar Lake, Shah Jahan Mosque at Thatta and the little-known hill of Pir Patho, all in a day! That is what I and my good old friend Khalid Marwat – also a skilled amateur astronomer in his own right – did last month, much to our pleasure I may add! We reached Thatta after a two-hour drive from Karachi on the National Highway. It did not take long for us to observe that the fabled town had seen better days in the past. “Negar Thuttie, a great city as big as London,” proclaimed the joining instructions to captains of East India Company in 1607. This contrasted starkly with a report by a German armyman Leopold von Orlich during a visit to Thatta in 1845 in which he noted “the narrow, irregular and dirty streets … the ruinous nature of the town.” Sadly, fortunes of the city fell forever when the silted Indus delta changed course in one of the vagaries of nature, for it had been a thriving river port and seat of power in Lower Sindh since late fifteenth century, till the Kalhoras moved the capital to Khudabad (near Dadu) in 1739. Of the several sites visited by us over the weekend, I thought the Shah Jahan Mosque deserved a closer enquiry, if for no other reason than its being the only structure commissioned by the Mughals in Sindh – an oddity of sorts, surely. From the point of view of Islamic architectural styles, this mosque is unique too in a number of ways, as we shall see. It is said that Shah Jahan, while an emperor-in-waiting, fled from his father’s wrath after a rebellion and sought temporary refuge in Sindh. Were it not for the generosity of Sindhis, he might have met the same ignominious fate of his seditious brother, Khusrau. Later, when Shah Jahan had the throne all to himself, he ordered the construction of a mosque as a token of gratitude to the people of Thatta, which practically speaking, was synonymous with Sindh in those days. The mosque was completed in 1647, three years after construction had started. Located at the eastern edge of the town, the relatively unassuming facade of the mosque is lent some distinction by a chahar bagh style garden laid out only in the last major renovation in the 1970s. The entrance portal has three well-embellished arched gateways which open into a vestibule, with the main gate leading directly to the courtyard, while the two smaller ones lead to the ablutions bays, and then beyond to the arcaded galleries on the northern and southern sides of the mosque. The twin-aisled galleries are actually a series of cubicles interconnected with thick-walled arches, each topped by a small dome. Built with red bricks lined in white mortar, the arcaded galleries and their domes are an exquisite study of myriad geometric shapes. The white horizontal lines of the arches effortlessly give way to the verticals and then, wrap themselves into concentric circles on the insides of the domes, looking much like the long-exposure shots of stellar motion in the night sky. Besides the numerous small domes, a main dome tops the prayer hall, two secondary domes top the main entrance portal, while another two tertiary ones mark the centres of the two galleries. Ninety-three must be some magic number, for why else would they not complete a full hundred domes? Superb acoustics are said to be the outcome of these numerous domes and, the imam’s voice is claimed to be heard loud and clear in the farthest corners of the mosque. Unfortunately, we were not able to test the high-fidelty sound effects, but saw no fuss in agreeing with the multitude. Personally, I thought the visual appeal of the vaulted galleries may have been the dominant factor in the unusual design. Aesthetics were, however, soon blighted by the sight of human heaps sprawled in the galleries, deep in pious siesta! As we stepped into the medium-sized courtyard, we could barely see the main dome over the prayer hall as it was rather squat, without a drum at its base. Even more surprising was the absence of minarets; there wasn’t a single one to be seen! The structure of the mosque is far removed from the quintessential Mughal style of Delhi, Agra and Lahore. In fact, this mosque boldly breaks from tradition and does not seek to be imposing in any way. The prayer hall itself is emblazoned with bright Sindhi tiles in blue, white and brown, but one does not fail to note the hybridisation of designs that has resulted after recent renovations. The later ones are finished crudely, and the florals and starbursts are more evocative of our rickshaw and truck art. Sadly, yet another renovation seems in order as plenty of tiles have fallen off or are cracked. It was heartening to see busloads of school children as well as weekend revellers visiting the mosque, despite the suffocating May heat. After all, it seems like the only place in town worth visiting! Unless the flagging fortunes of Thatta somehow find a prop, it would be quite a challenge to preserve this remarkable mosque that has a style all its own: simply, ‘jo Thatto’ (of Thatta)! After visiting the Shah Jahan Mosque we had time to do some sight-seeing at a rather offbeat spot called Pir Patho, where we had planned to stay the night at the PAF Officers’ Mess. Located 15 miles south of Thatta at the southern tip of Makli Hill Range, the little settlement is located on a small hill, about three miles from the banks of Indus. We first drove up to two very old mausoleums: that of Syed Sakhi Jamil Gurnari (died 1244 AD) and the other one of Shah Hussain Aplani (died 1268 AD) also known as Pir Patho Debali or just Pir Patho. The latter is considered the patron saint of boatmen, who invoked his blessings as they set out in the crocodile-infested Indus delta. Interestingly, Hindus too revered him for the same reasons, but as an incarnation of ‘Raja Gopichand,’ a somebody in their man-god pantheon. Not needing any special benedictions as we found ourselves safe from crocs, we drove off to the nearby bin Qasim Mosque and Tower complex. As the sun dipped low, we caught sight of a dilapidated tower which, the locals told us, marked the spot where Muhammad bin Qasim landed. Of course bin Qasim had trudged along the Makran badlands on camelback, but local lore had him as an able Admiral too! The memorial tower is quite similar to the one at the mausoleum of the early 17th century writer Mir Masum Shah in Sukkur and possibly, of similar antiquity too. My friend Marwat, however, thinks that due to its elevated location (the hill is 80-ft above sea level), the tower at Pir Patho could have well have been a military look-out or an anchorage marker in Thatta’s maritime heydays: a KPT Tower of sorts. Of course, we are talking of an Indus delta and the sea that was much further inland. The nearby mosque – actually two of them, curiously conjoined – has six domes, three to each half. Without much material for a deeper study, one can only speculate that the second mosque was a later add-on for more accommodation. Like the tower, the mosque seems to be of seventeenth century vintage. Our busy day was done with a good shower and excellent food by our somewhat surprised hosts at the little-visited Mess. It was a wonder that Marwat could stay awake for a night of sky-gazing though I was deep asleep within minutes of going to bed. 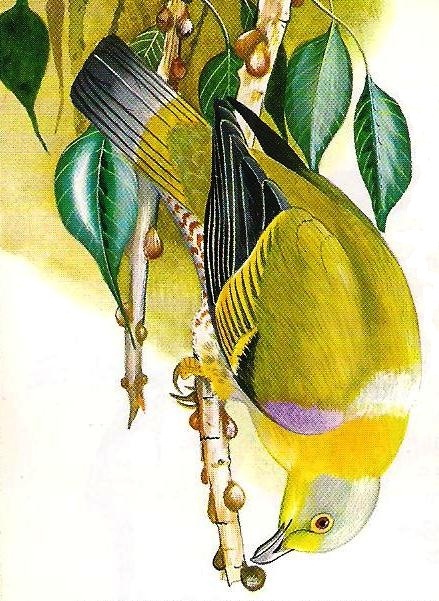 Next morning, while breakfast was being lazily prepared, we did some bird-watching, whose highlight was an unusual spotting of a Green Pigeon (Treron phoenicoptera) high up in the tree tops. Sighting of this winter visitor, which is mostly confined to Punjab, would have been significant only if we had been able to photograph it, but for the bird getting disturbed by the sudden noise of generators cutting in at the start of load-shedding! By the way, Pir Patho and its wetland environs are a bird watcher’s delight, especially in winters. On our way back, we decided to sample thaadal, the traditional Sindhi drink, at a roadside shack near Gharo. Heaps of almonds were being pounded by wooden pestles in stone mortars, but it were the sundry ingredients being sprinkled incessantly that got us wondering if the concoction was to quench something more than ordinary thirst: rose petals, cloves, cardamoms, mint tablets and poppy seeds! Mercifully, we stayed in control after the heady drink and came home in good cheer, with some excellent memories of the genial people and fabled places of Lower Sindh. This article was published in the daily newspaper The News International on 12 June 2011. Very good article sir.....a new advnture into lower Sindh, a very informative reading.Good job.